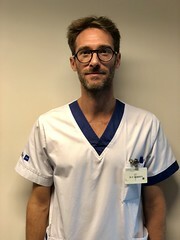 Post written by Vincent Huberty, MD, from the Department of Gastroenterology, Hepatopancreatology, and Digestive Oncology, Erasme Hospital, Université Libre de Bruxelles, Brussels, Belgium. This is a video case report of a 76-year-old woman diagnosed with a 23-mm gastric GIST located in the fundus, on the greater curvature. Workup (including fine-needle aspiration, bite-to-bite biopsies, and EUS) showed a GIST without lymph node involvement and a significant increase in size on imaging at 1-year follow-up (from 11 to 23 mm), which triggered the decision to treat. A non-exposed endoscopic full-thickness resection (EFTR) technique was developed using a triangulation platform and suture material to secure the tumor and accentuate the bulging before resection with a snare. The GIST could be safely and successfully removed with no perforation or bleeding. Histopathological analysis showed R0 resection of a 23-mm gastric GIST (low mitotic count, L0, V0, pT1Nx UICC 2017). The patient remained asymptomatic and was discharged the next day. Endoscopic full-thickness resection is still not widely spread as standard of care for the treatment of deep layer gastric lesions such as GISTs. Difficulties of the technique include safety issues and anatomical constraints such as oesophageal passage or tumor location, highlighting the need for safe endoscopic closure devices. However, most existing devices are still at the pre-clinical stage for this indication. In fact, there are very few devices that have proven to be clinically safe and effective; the most known being the FTRD (Ovesco, Tubingen, Germany), initially designed for lower GI. Advantages of non-exposed EFTR using endomina are micro-invasive approach, device designed to be used in the stomach, possibility to access difficult gastric tumors located in the fundus, direct visualization without loss of insufflation, limited risks of cancerous cells dissemination, and short hospital stay. Although exposed techniques have recently shown to be safe and effective when performed by trained endoscopists in high-volume centers, this non-exposed technique could open the panel of available endoscopic treatments. The endomina is relatively easy to use, and this proof of concept is very encouraging. Endoscopy is a never-ending field of improvement, and there are still many advances to achieve. However, one should keep in mind that continuous desire to do better, team collaboration, practice, and experience are the key to success. Further data should be collected to establish a safety and efficacy profile of the technique, along with continuous improvement of the procedure. I hope this can inspire other gastroenterologists to participate in the development of endoscopic treatments. The patient has been coming to follow-up consultations and shows no signs of recurrence or delayed post-procedure symptoms. She is very thankful for this endoscopic alternative which prevented her from undergoing a more invasive approach as the location of the GIST was not easily accessible by laparoscopy and would have required removal of a larger area.